Everybody is familiar with the voice in their head. Sometimes it has the sound of a nagging argument, repeating, rehearsing endlessly to no good end. It can also be the voice of scolding, shaming us for some minor transgression while it consigns us to the lowest of the low. It is rarely a welcome presence in our lives. No one ever says, “You wouldn’t believe how wonderful the voice in my head has been today!” These sounds are not actually “thoughts.” They do not come as the result of reason and consideration. They are not acts of the will. They are more like the artifacts of the body’s reflex actions, like the dread that is automatically triggered by the sight of a blue light flashing in our rear-view mirror, or the slight cry of surprise when stumbling across a spider. Only, these sounds persist, lasting for hours or days. The tradition describes these noises as “logismoi” (“little thought-like things”) and has much to say about how we battle them. Apparently, we have been bombarding ourselves with these sounds for a very long time. It is unlikely that they ever cease in this lifetime. They are, indeed, products of our reactive nervous system – we are hard-wired for logismoi. Essentially, what happens when we practice this is that we divide our soul into two halves, “one of which comforts and the other [which] is comforted.” Part of us is able to rise above and provide consolation in the midst of despondency with the balm of prayer. We deflect discussion and enticement from the offending thought and instead tend to the broken parts of ourselves that need love, healing, and redirection. There is something beautiful and transcendent in our capacity to demonstrate care within ourselves, especially when the situation least warrants it. In my own life, there have been instances that, for one reason or another, have left me completely bereft. Just when I assumed I had nothing left to give, though, a faint voice of comfort trickled out of some inconspicuous crevasse of my soul. I don’t think I’m alone in that, but it still strikes me as a miracle— in my own valleys of shadows— whenever I discover I have comfort and hope left to give. (Time and Despondency, Kindle location, 1357). In the Orthodox tradition, perhaps the single most extensive display of this “soul talk” can be found in the Great Canon of St. Andrew of Crete. The Canon is a long series of theological poems that are sung on the nights of the first week of Great Lent. In this composition, St. Andrew speaks to the soul, admonishing it not to behave as the various figures in Scripture who have sinned. He interiorizes these sins, such that our lustful imaginings are compared to David’s adultery and murder (indeed, he condemns them as worse). My soul, my soul, arise! Why are you sleeping? The end is drawing near, and you will be confounded. Who is everywhere and fillest all things. Evagrius’ wise observations encourage us to resist the ceaseless chatter of the logismoi. We comfort our souls by speaking encouragement and Scriptural wisdom. Talking back can be a very good thing. Another first for me on this blog; I had never heard the advice to talk back to the Logismoi using the gospel. Like all patristic advice, discretion is required I suppose. When would you advise simply observing these “thoughts” and when would you advise following the antirretiki method? Are there situations where one is more preferable or types of people or spiritual condition where one might be inappropriate? So if we are being assaulted by logismoi, Frather Stephen, the remedy is to pick up the Gospels or Psalms and start reading? What about doing the Jesus Prayer? On the one hand, you say that logismoi are “not acts of the will,” but on the other hand, you say that “we have been bombarding ourselves” with them forever. Based on my readings of the holy Fathers, I was under the impression that logismoi were sent our way by the demons and were not generated interally. Can you please clarify? I am looking for something to battle the selfish reaction when I’m being critisised and humbled. Particular problem amongst many others for me. St Arsenius collated many prayers from the psalms for different challenges in daily life. He would read these to the faithful in Kappadocia, I believe. Maybe it’s worth noting that the ‘quarrelling-against-the-logismoi’ variety of the above ‘antirretiki’ method is certainly a more insecure and dispersed one compared to the ‘redirecting-of-the-mind’s-eye-to-Christ-in the heart’ form. Even the scripturally-based ‘quarrelling-away-from-the-logismoi’ form is weaker than the Jesus prayer’s Godwards gaze . Besides, the invocation of the Holy Name can acquire whichever ‘colouration’ is needed at various times, especially for the experienced (but even for the inexperienced) soul. What if you are in despair? What if you can’t find the half that comforts? There are circumstances, and I have been trying to find my way out for months and can’t. But I know that the truth is it’s me, and I’m not getting better, not ever i think. I lost my brother to suicide a couple of months ago and the thing I can’t tell my family is how much I understand. This is a really incomplete and unfair comment to leave, please forgive me. I’m going to send this, Father, even though I think I’m hoping that you won’t publish it. If you could pray that God have mercy on our circumstances, if only for my family’s sake. Thank you Father. This post reminds me of why I do the Jesus prayer often which leads to see why the logismoi seem to have faded in recent years. It is a good incentive to keep on praying. In such a situation – it’s good not to struggle alone. Share your thoughts and struggles with someone. Your priest, or a wise friend – even a therapist. Grief could also be a part of what you’re experiencing. I will indeed pray. I will pray also for you, your brother and family. Christ does indeed comfort the broken-hearted. Dino, thank you for always bringing us back to communing with Christ in the inner heart. That logismoi are products of our reactive nervous system, why are they always negative? Or are they always negative? I will pray for you as well. I agree with Fr. Stephen – and yet I know how hard it can be to talk to anyone when you feel this way. Thank you Father (and Dean) I will try to not struggle alone. ‘antirretiki’ essentially refers to opposing a thought. My earlier comment was a reminder of the pre-eminence of ignoring the logismoi in our recourse to Christ. T’would that quoting scriptures would silence the darkness. One need to believe it will perhaps. Just don’t know. Certainly, the Jesus Prayer is important – perhaps best (for some). The Jesus Prayer itself is an adaptation of Scripture and may well have begun as one of the antirrhetiki. Experience taught us of its preeminent effectiveness. As to the logismoi. I do not think it is correct to think of them as coming from outside us. They are not alien voices – they are our voice. The role of the demons is arguable. If they were merely demonic voices, they would shut up a lot easier. But they are largely grounded within us. I think there are indeed times that they are manipulated and amplified by our adversary. They are the sounds of the “affects” the hard-wired neurological reactions of the body to events around us. I’ve discussed some of this in articles on shame. Shame is almost a primary affect – a reaction of feeling exposed, vulnerable, and in need to hide and protect ourselves. (There’s a lot more to be said of it). It is called the “master emotion” and colors much of what happens inside us. It also seems to stimulate this verbal noise in our heads (thus it is negative). It also seems to have this lingering property, such that it hangs around and makes noise for a very long time. It is worth noting that shame is recorded as our first reaction to sin (in Genesis). They want to hide. In reaction to it, Eve becomes defensive and starts blaming. I can imagine a long-running argument in her head in which she rehearses the whole scene, over and over, blaming everyone (including herself). It is a way of burrowing deeper into sin itself. Often, shame (the neurological wound) needs to be comforted. It resembles a child in its pre-rational needs. Fr. Zacharia of Essex spoke with me about the role of comfort in dealing with shame – I reference him with gratitude. Indeed, using the Psalms or other Scriptures or the Jesus Prayer, not as an argument, but more as comfort – can help still the noise to a great extent. It’s not argument that is needed. Imagine how ineffective it is to argue with a toddler who is upset! “I have quieted [comforted] my soul like a weaned child at its mother’s breast. My soul is like a weaned child within me” (Ps 131:2). That makes this aspect of the soul to be between 2 and 3 years old. Treat it like that. See my reply to Esmee above. Antirrhetiki is Greek – it literally means “talking back.” It was the title of one of Evagrius’ writings. If you look over the list, you can see other reactions that produce their own “voices.” But they seem to be quite short in duration. But “disgust” and “dissmell” can both trigger the shame reaction, as does anger and distress. Shame, in the sense used here, is extremely powerful and almost always a part of our present experience. Nothing “silences” these negative thoughts – certainly in the short run. But, it is hard to “think” two things at the same time. The “antirrhetiki” (talking back) – puts something else in its place – something healthy, healing, comforting, and centered in Christ. If you’re going to do one or the other – it’s best to be willingly giving voice to good things. And then, try not to despair. It’s a struggle, but we’re going to win! Thank God for you Father! What a great post revealing the struggles in the mind! Pray for us sinners, Fr. Stephen! Praying for you Jen, “being” often trumps “doing”. Thank you for your post Father. I have found mindfulness meditation extremely helpful in dealing with our thoughts and emotions. Centering Prayer is a form of mindfulness meditation where we direct ourselves to Christ and God and his Love in us, around us, which sustains us. I think this comforting voice you mention is Christ in us. He is always with us and we can find him despite all of the noise, grief and pain. Jen, I will pray for you too. Do not run away from your grief. Do not reject it. One book I found comforting in times of struggle is Henri Nouwen’s “Turn my Mourning into Dancing.” I hope you can find comfort in it like I did. Scripture teaches us to take our thoughts captive… and what does one do when the thoughts are captive (if they are captive)? I guess in line of what you are saying, taking them captive is actually not quarreling with them at all, right? I did hear once that the thoughts are like logs floating down a stream and we should just let them go by… rather than hop into them…. to be honest, often I find myself swimming for shore. Here is some food for reflection concerning this discussion about the logismoi. In St Ephrem’s all too familiar prayer during this season it is spoken of various “spirits” that we beg God not to give to us and few others which we ask for. Now this certainly does not mean asking not to be possessed by demons and then maybe, be possessed rather by angels. If we keep in mind that pneuma means both spirit and wind, it would perhaps be best to refer to these “spirits” as psychic currents, which are truly within us but correspond to different layers of our psyches- some lower, some higher. If the air on a mountaintop is very clear and clean, the air near the door of a moist and dirty basement can likewise be quite toxic. So these currents and logismoi have their origin in that place within our psyche that because of the fall has an opening towards hell so to speak. So when these currents are stirred within our mind, they can easily produce the atmosphere which leads to sin and despair. I think that your observation on shame is spot on. The most typical reaction I’ve had to situations of shame is a severe type of mental noise, disparaged and non-sensical thoughts one after another, as if it is a mechanical reaction that tries to create a wall between us and the painful experience. Perhaps the logismoi can be called the substance gushing out of a soul-wound, like blood comes out of a physical wound, which can get infected and severely damage the soul. Continual remembrance of God –as opposed to all other “thoughts” (whether bad or good) – teaches us all we need to know eventually. In the most consoling (as Father points out) way possible. Planes might fly over us but we don’t need to head them, or give them a landing space (St Paisios the Athonite). The more we enter the inner sanctuary of the house of the heart, the less we will even hear the wily calls of the tempters or distractors outside (St Makarios). It is true that a consistent practice of the Jesus prayer eventually reveals such logismoi in us that one cannot have ever suspected or conceived beforehand, this obviously is not uncontaminated by our adversary, and it has to do with the fact that God’s light shines on us and reveals what is hidden when we become ready. Very helpful responses to Esmee and myself, thank you. I take it that Tomkins is a helpful resource, after noting your close reference to him. I agree with you that shame is the master emotion as evidenced in Adam and Eve’s reaction to sin…the very first reaction of man in response to separation from God. I also thank you for speaking about the role of demons in all this, as I was wondering how, as the spirit world intersects the natural, their presence can manipulate us. I see a significant difference between demonic temptation coming from without, how we leave ourselves open to their influence by our sin, and the presence of Christ everywhere, and within ourselves as well. He is all powerful. Plus, He created us, thus formed our neurological “wiring”, not to remain injured, corrupt, and fallen but that it can indeed be directed back to Him who comforts and heals. I am very thankful that you speak about the Christian approach to psychology which puts the cap on the only means to true healing and to be fully human. We have been given the gift of His Self, the Church, for all things pertaining to life. We need good counsel though, as we go our way in this fallen world. As you say, it is a struggle, but we will win! Dino…thank you for your response to me and ever pointing us back to Christ, our only truly effective recourse in this battle with our thoughts. Nothing “silences” these negative thoughts – certainly in the short run. But, it is hard to “think” two things at the same time. The “antirrhetiki” (talking back) – puts something else in its place – something healthy, healing, comforting, and centered in Christ. This is very helpful. I approached the fast at a low ebb, it seemed, but since Monday God has protected me and brought comfort. I have found in the past that when I have too much time, my mind wanders into terrible places. This week has been one of constant movement and worship with the Great Canon each night. However, even during the Great Canon my mind will wander. I have found the Jesus Prayer to be a wonderful way to focus and not allow these voices to enter into my thoughts. I am thankful to God for this respite! Thank you all, it has to be your prayers. Tomkins is useful, in that his research and “theory,” has long been corroborated by clear, observable science. As such, it is simply a good observation of how our bodies work (neurobiological). In a world such as ours, I think it is useful to touch base with such research – stuff grounded in a rather objective science – and to engage the tradition from that position. It’s helpful because we frequently think in neurobiological terms (or, at least we can), and it helps us to appropriate the tradition. On the other hand, to speak purely in terms of “soul,” “nous,” “demons,” etc. – we often flounder and mix those terms with a lot of unhelpful imagery. 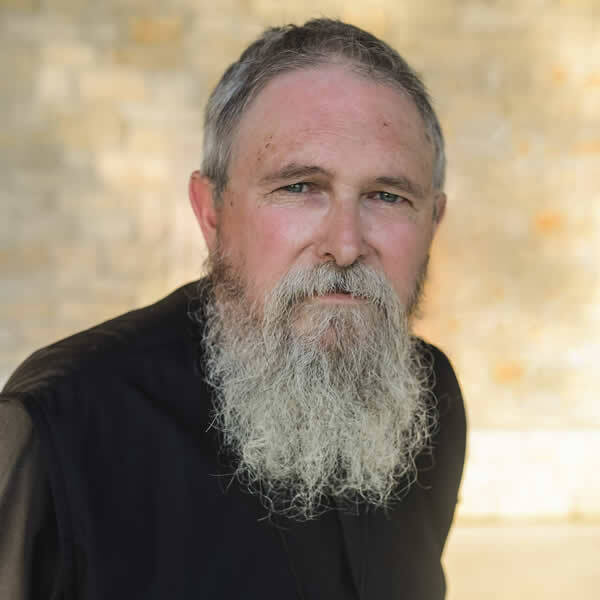 I do not think of modern terms as superior – but – if you’re combing through the tradition, and look at stuff like Evagrius’ work, the two mesh very easily in that both are based on observations of the same thing. Tomkins explanations were very helpful to me – particularly in understanding the working of shame. To a certain extent, his work “de-mystified” shame for me and allowed me to think about it without getting bogged down in shame in the process. Tomkins began his work by paying attention to things in the life of his own infant – asked good questions – and went on from there with his research. It helped debunk a lot of Freudian nonsense that had gone before and ground psychology in something other than fanciful, imagined theories (like Freud and Jung). I was on a retreat last week with Fr. Patrick Reardon as the speaker. Excellent talks – on the Psalms. One of his observations is that the Psalms are “the voice of Jesus.” Christ prayed these Psalms – and in the Christian tradition – they can be best and first understood as His words. Fr. Pat’s book on the Psalms is an excellent read as well. It’s from the service of Compline (the setting for the Canon). Good words! Very good, Father. Thank you. One more question, please. Would you give some examples of unhelpful imagery we apply to the terms “soul”, “nous” and “demons”? I think we begin thinking about what the ancients “might have meant,” and it all becomes kind of spooky. We sometimes think of the soul in very disembodied terms, as though it functioned independent of the body/brain. That’s a mistake. With the nous – I think we generally don’t have a clue. As to the demons – our literalistic imagination is problematic. We think we know what we mean when we say “angel” or “demon,” and I think the reality is much more complex and varied than we imagine. The fathers speak in terms that simply don’t conform to our imagination. In the Baptismal service, at the exorcisms, we start rebuking the “spirit of greed,” the “spirit of whatever.” This does not at all mean that the service is presuming that the candidate actually has demons inside them (though I’ve heard stories of Baptisms where that was the case). Or, in the prayer of St. Ephrem – it literally prays, “Give me not the spirit of sloth, despair, lust of power or idle talk.” What does that mean? It is certainly not referencing demons. God would not give us a demon. In truth, it’s a very Semitic concept that would rarely been found in the Greek fathers (St. Ephrem was Syrian). Thank you for the further explanation. I will search your blog for past articles on shame. 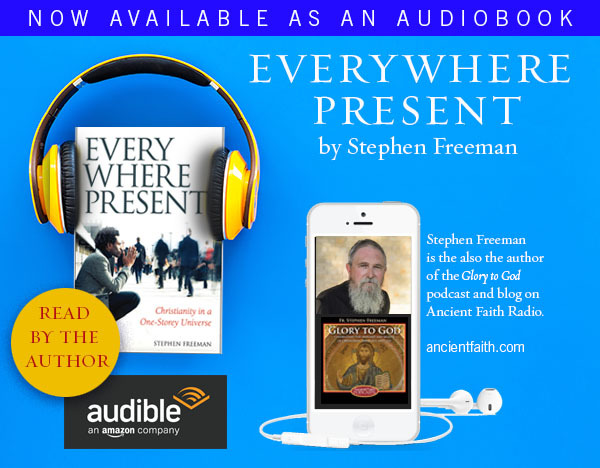 Unfortunately, I was not able to attend your presentation on this subject at St. Seraphim Church in Santa Rosa,CA that you gave a year or so ago, but your response here to my questions has certainly peaked my interest to understanding this better. I think you said it right, that things such as angels and demons are infinitely more complex than we imagine. It seems safe to rest in what God has revealed to each one of us. We have been warned about how easy it is to fall into delusion in prideful desire to know about things that we are not ready for. It seems there is a right way and a wrong way to experience the world of the spirits. We know so little comparatively, and I think that that unknowing is by the grace of God. Dino had mentioned that those who have ascended further toward God had to go through many trials and temptations (demonic) to finally be blessed with spiritual gifts. There is the temptation in some to bypass the trials and temptations and head right for the gifts. Anyway, I don’t mean to get offtrack here. Thank you Father…I will consider all these things you said. also I have a question about that because I have heard that the thoughts don’t necessarily originate from us – at least not the ones percolating to the surface – but I think if I have a thought to do the laundry before my husbands business trip that might actually be a thought from me. But the thoughts that percolate up are both good and bad. Is it okay to jump on a log of the good thoughts – such a pleasant memory, or enjoying the chirping of birds? And if the thoughts that percolate shouldn’t be attributed to me then where exactly do I fit into all that? Where is me in all the logoismoi? I really like the explanation Fr. Meletios Webber offers in his book “Bread and Water, Wine and Oil”, about how our logismoi emerge from the chasm that was created at the Fall, when our heart and our mind became separated. But Father Meletios always added that we have to actually “do it” (pray the Jesus Prayer), and not only think about it and analyze the whole idea… Our Faith is a very practical “science” (as Fr. Zacharias often says). “Woe to me! My open-mindedness has left me naked and confused! I am also reminded of a story in The Way of a Pilgrim. A young military man suffers from alcoholism and it is destroying his career. A monk passes through who had a brother with the same problem. The monk tells the military man that his brother was cured of alcoholism by reading from the Gospels whenever he felt an urge to drink. 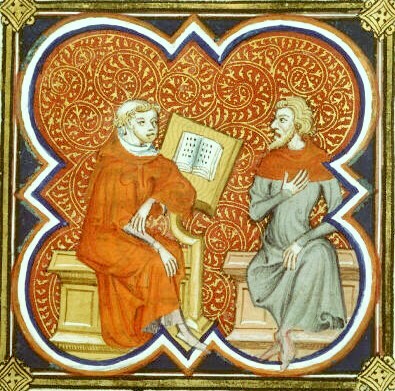 The monk explains that the wirds of the Gospels are medicinal. The monk left a copy of the Gospels with the military man. Out of desperation, the military man finally tried it and – much to his surprise – it worked. And he didn’t even understand half of what he was reading! Thanks to Agata, who shared a story about Crazy John of Athens in response to a previous post, I bought the book on this wonderful servant of Christ. One of the things Crazy John does regularly is read the Psalms in the evening (loud enough for his near neighbors to hear). When asked about this practice, Crazy John said that it kept the “critters” away from the neighborhood. He encouraged everyone to read from the Psalms everyday for this reason and he frequently gifted this book of scripture to the many people he was surreptitiously helping. He would tell them that even if they didn’t understand what they were reading, the demons certainly heard the words and fled in response. I am so happy you got the book (I could have sent you a free pdf 🙂 ). Agata – I would love to meet you in person of course. I have not made plans for that retreat as yet, but I will see if it’s possible. I am currently living as a long term guest at the Holy Assumption Monastery in Calistoga and several of the Sisters may be going to that retreat. I will find out and perhaps I can go with them. I bought the book on Crazy John from the Monastery bookstore, so I was happy to support them as they have been so generous and gracious in allowing me to live with them! Look at my responses to Esmee and Paula above on where the logismoi come from. They do not come as an act of the will – we are not actively “thinking” them. As such, they do not come from us. But they are the sounds of our own wounds (primarily shame). They do not originate outside us in the sense of being demons “talking.” It’s our own voice we hear. They can certainly be influenced from outside – but they belong to us. It’s certainly not wrong to entertain good thoughts and memories. But be sure to look at what I’ve written above about the “noise” engendered by the “affects” particularly shame. Logismoi have many sources (e.g. : circumstances, hormones, weather, memories, spirits, words… it’s almost never-ending). However, it’s key not to try and analyse why, what, how and from where they come. In fact, eliminating thoughts about thoughts is the main starting point in one’s success in ignoring thoughts for the sake of God’s love. Some of us need to start by embracing the counsel to not have thoughts on the thoughts about the thoughts…! Truly assaulting ‘sessions’ of logismoi that profoundly disquiet with their insistence for a long time and strongly compel one to desperation are rare, require instant confession, and invariably contain demonic admixture. But our day to day problem is the first, more common kind. And we start by ignoring (as well as not worrying when we seem that we cannot remember to ignore them.) To paraphrase a little here, if we can be “faithful in that which is least”, God will certainly be “faithful also in the much”. Esmee – how wonderful that you are in Calistoga! I think the feast of Annunciation (new calendar) falls on that Sunday (March 25), so the sisters may not be able to go (I hear)..
that type of ‘open-mindedness’ as a term reminds me of Elder Aimilianos once saying that a sinner who forgets God is like a man or a woman who loses their unity and balance inside their home and their marriage, and virtually runs out to the open, away from the home, goes everywhere, chases faces, watches foreign affairs, seeks understanding, love, society, leisure, dissolves and gets involved in all the troubles of life. He cheats, makes mistakes, makes a fool of himself, loses his personality, gets sick, depressed, anxious, hurt, accuses God and eventually denies him. It’s a rough picture of the sinner who has forgotten God. The prodigal ‘nous’ has left the heart and its Divine Prince to run out to faraway lands. Whereas, the stronger one’s upwards single gaze, the weaker all their sideways scattering and dilution will be. To me, it almost sounds like a definition of “distractions”… And reminds me of this wonderful talk by Fr. Maximos. We are very lucky in the Twin Cities to have him as a guest at the upcoming Lenten Retreat at the Greek Church. I am really looking froward to seeing him in person! Agata – Will do. If we do not meet at the upcoming retreat, then perhaps we will meet here at the Monastery at some other time in the future. I have heard Fr. Zacharias say that the Psalms (and the Scriptures) are the “language of God”… If we want to speak to Him, we better learn His language…. It’s worth noting that it used to be quite common for more erudite ascetics to spend their entire night time presence before God not with the Jesus prayer but with the psalter. Saint Porphyrios particularly loved the poetic canons (like the one by St. Andrew that Fr. Stephen highlights in this post). He memorized them (along with the Gospels) and encouraged his spiritual children to do the same. Agata, another good one, yes! So much comfort and wisdom in praying the Psalms… I hope to do a little more of that over the next few weeks. I find it works better to sustain prayer for my ADHD brain than many other things. I tend to drift into distraction rather too quickly and easily using just the Jesus prayer. Yes. For my ADHD brain, reading the Psalms is, by far, the best practice I have found for prayer. Thank you for this blog post and for you comments here, Fr. Stephen. I listened to part 1 of Fr. Patrick Reardon’s talk on the Psalms today and it is a blessing and encouragement. Thank you for mentioning him in your comments here. Glory to God for All Things! Traditionally, the Psalms and the Jesus Prayer have been considered as perfectly complimentary – not competitors. The first contain rich and varied themes, they enrich the mind, yet point it back to a singular Godwards direction. The second clearly tries to divest the mind of everything with clear-cut purposefulness. Standing under God’s gaze, both with the psalter, and with the singular invocation of His name, are to be found together, combined at different times of the day, as standard practice in the history of our tradition. Just as we need night and day we need Psalter and Jesus prayer. The first helps the second and the second helps the first. Distraction is such a relentless adversarial companion of man, that some patristic writings are forced to even call God Himself a ‘Distraction’ – a good distraction away from our distractions…! The extent of our captivity to distraction away from God is only really revealed after diving very deep into the practice of the Jesus prayer and discovering how powerless we can be in preserving our focus Godwards: this happens when grace allows us to see all our blemishes (i.e. : this captivity) while invoking God’s name (while illuminating it for us so that we can finally see it and grasp its extent). The blemishes on a surface are hardly discernible under a dim light (such as that of the stars), yet they become tremendously obvious under direct sunlight. That surface is our soul and the sunlight is the exclusive practice of the Jesus prayer in stillness. Yes, different types of prayer are complementary. God is so gracious to provide many ways for us to calm our minds and approach Him. Now, if only I could remember to take advantage of that more faithfully each and every day! I’ve been turning over your thoughts on the Prayer of St. Ephraim, about how to understand “grant me not a spirit of sloth, despondency, ambition and idle talk,but a spirit of chastity, patience, humility and love”. You are right to say that it means “help me not to be ruled by these things”; but the use of “spirit” also means, sort of, along the lines of Proverbs – that is: don’t let me “go in the way/walk along the path” of these things. Like so many of our prayers and hymns, there are layers and layers…and always attached to the Scriptures in so many fascinatingly illuminating ways. I liked your aside about how Semitic St. Ephraim’s prayer seems…but it also got me to thinking about Isaiah and Revelation and those “seven spirits”! Since I don’t want to compel anyone into going down my rabbit holes (! ), I just wanted to say thank you for producing such thought-provoking articles. They are always a treasure, a treat, and a great blessing! Thinking of what, I believe, Fr. M. Webber, wrote. He likens our nous to a mirror reflecting God deep in our heart. When we begin our practice of the Jesus prayer the lens is dirty, covered with soot. But as we persevere, it becomes cleaner and brighter as we allow more and more of the light of Christ to shine in our soul, penetrating with its glorious rays every fiber of our being. And all this does not even go into the details of “proper translation”… So much of the meaning may be changed because the translation is not quite right. I heard Fr. Zacharias comment on this often, how he goes back to the Greek and brings out the true meaning of certain phrases, and how that clarifies things people misunderstood most of their lives… Thank God for those (like him and you) who can dig deeper for the rest of us… Thank you again! Oh, Agata! In no way am I an “erudite ascetic,” nor should I be mentioned in the same breath with Aemelianos or any elder. I’m just an old priest who reads and writes. What I write does not come out of the crucible of sainthood – but mostly from reflections on my own sins and weaknesses. God forbid that I be thought of any differently! Fr. Stephen thank you for your articles on logismoi and antirrhetiki. It is comforting to see that this thing of which I’ve been aware my whole life, negative self-talk, has a name. And it is more comforting to know it has an antidote in the Jesus Prayer and antirrhetiki. “Thank you” is always enough. I give thanks to God for the many kind words – He is merciful! Agata – As far as English translations of the Psalter are concerned, I cannot recommend highly enough the translation by the Holy Transfiguration Monastery. The more you read it, the more it grows on you. I do think, that for a prayer practice, is essential to find a translation of the Psalms you like and stick with it, in the same way it is important to find a version of the Jesus Prayer you like and stick with it. As one recent Elder has said, if we change the words of the prayer too often, it’s like were are continually transplanting the prayer and we don’t give it a chance to grow roots in our heart. Reverend Billy Graham died a couple of days ago at 99. While agnostic, at age 22, I read one of his books. Through it and prayer I received Christ into my life. It took another 27 years for the Lord to show me the truth and fulness of Orthodoxy. I’m either really stubborn or God’s timing is not mine (I think both). Well, he had a very weak ecclesiology, his message of the gospel was truncated, and Baptists aren’t known for their sacramentalism. However, God used this servant of Christ to move me ever toward him. For that I am so very grateful. Even a portion of the Truth may draw some to it and that is worth celebrating. Glory to God. I lost my father to suicide in September 2014. I also have had victory over my own deep depression. This blog was a big help. Happy to be among those who walk with you in this journey. You write lots of wonderful posts, but I’m just piping up to say how important this one is. It’s a topic no one really addresses in the Christian realm, so we all just assume we’re either crazy, odd, or lame – or all the above. Thank you so much for addressing this area of our inner lives. It all rings SO true.